Real estate asset management software helps residential and commercial investors, managers, and owners maximize property value and investment returns on the properties that make up their portfolios. These solutions include tools designed for key functions of property investment, including revenue forecasting, market research, and data analysis. Real estate asset management software enables users to receive and maintain a complete, comprehensive view of their properties, with the end goal of improving overall real estate portfolio performance and maximizing both property values and investment returns. Real estate asset managers leverage this software to better mitigate risk and liability, streamline market research and asset analysis, and reduce expenditures. Generally, real estate asset management software easily integrates with property management software. Real Estate Asset Management reviews by real, verified users. Find unbiased ratings on user satisfaction, features, and price based on the most reviews available anywhere. ARGUS Enterprise is the global standard for property valuation and the most comprehensive asset and portfolio management solution in the world. Trusted by leading investment firms to value property, secure capital, manage assets, and generate wealth. Improved Decision Making Easily handle the complexities of global valuations and understand how small changes to operations can improve cash flows and increase asset values, so that you can make real-time decisions to boost performance. Portfolio Transparency Gain a complete, accurate view of your entire portfolio from the economic impacts of changing market rates to individual property performance with our dashboards and analytics that let you quickly identify risks and adjust strategies to make data-driven business decisions. Enterprise Scalability Utilize a single solution across your entire business that integrates critical market data and property performance from multiple systems into one place making it easy to share files and manage every project from single assets to global portfolios. Budgeting Deliver expected returns by making budgets easy to track against targets with a single solution that consolidates actuals, budgets, and forecasts into a single set of performance figures. Now teams can more easily manage deliverables by staying on the same page throughout the project with one set of consolidated figures. Cash Flow Projections & Valuations Clarity around your cash flow and its effect on value is critical to understanding performance and finding opportunities for improvement. Whether operating locally or on a global scale, ensure the right decisions are made for every property and portfolio. Transaction Analysis Process opportunities faster and stay ahead of the competition by quickly deconstructing property valuations and applying your industry expertise in a single solution. Now consolidating market data, running sensitivity scenarios and positioning properties is even easier so you can capitalize on the best opportunities. Sensitivity & Risk Management Drive efficiencies throughout your organization using a centrally-managed solution with portfolio level dashboards and reports to get insight into risks and returns. Easily evaluate multiple scenarios for individual properties or cross-sections of your portfolio and start turning forecasted results into actual returns. Leverage the Flexibility of Excel Take advantage of the power and sophistication of our industry standard solution while maintaining the flexibility of Excel with our XL4ADW Add-in. Whether building proprietary models, reports or simply easing the burden of manual data entry, XL4ADW will help you streamline workflows and make it easier to deliver results. Visual Lease is lease accounting and lease administration software specifically designed to manage your company’s real estate and equipment leases. Loved by users worldwide, Visual Lease embeds decades of deep lease management and financial accounting expertise. It is intuitive, easy to use and integrates with all major ERP systems. Visual Lease gives you complete control over your leases and keeps you compliant with US GAAP (ASC 842) and international IFRS 16 standards. The new lease compliance standards are not “set and forget” – they require that you update your disclosures continuously to accurately reflect the condition of your lease portfolio. Visual Lease helps you manage remeasurements, modifications, hypothetical and retrospective scenarios to ensure that your organization is up to date on its disclosures. Leveraging a platform that has both lease accounting and lease administration helps ensure that from day one, procurement, accounting and real estate teams are aligned and consistent. Implementing one system can also enable fast and easy data migration. ARCHIBUS Enterprise reduces complexity through native business intelligence. ARCHIBUS turns BIM, GIS and Mobile into powerhouses that accelerate understanding of your real estate portfolio, workspaces, and operations, and speeds business processes. VTS is the commercial real estate industry’s leading leasing and asset management platform. Landlords use VTS to maximize portfolio performance by transforming their leasing and asset management process, enabling them to acquire the right tenants faster, sign the right deals at the best economics, and optimize the renewal process – reducing costly downtime. Brokers can manage their deal pipeline and get tenants into empty spaces faster, collaborate across teams and work easily with their landlord clients using VTS for Brokers. 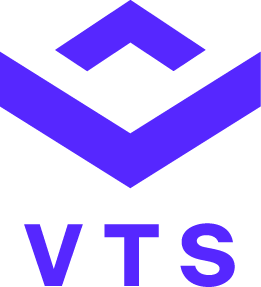 The VTS platform manages 8 billion square feet and a user base exceeding 28,000, boasting an impressive client roster that includes top names such as Beacon Capital, Blackstone, LaSalle Investment Management, Hines, Boston Properties, JLL, and CBRE. The leading investment management software designed specifically for real estate. Juniper Square provides real estate investment managers easy-to-use software that streamlines fundraising, investment administration, and investor reporting. Juniper Square is trusted by hundreds of investment sponsors including Tishman Speyer, Rockpoint, and Beacon Capital to manage nearly 10,000 real estate investments. XactPRM is a time-saving solution for professionals involved in the maintenance and repair of foreclosed properties. EstateMaster Development Feasibility (DF) helps you to calculate with ease and accuracy each of the key performance indicators for development appraisals and feasibility studies. Profit Margin, Residual Land Value, NPV and IRR to name just a few all precisely quantified. EstateMaster Investment Appraisal (IA) is a property valuation and investment analysis tool that uses Income Capitalisation and Discounted Cash Flow (DCF) analysis to accurately appraise a propertys purchase and disposal values based on its rental cash flow forecast for up to 40 years. IMS is an investor management platform designed for commercial real estate owners. Lucernex Enterprise™ is a leading Integrated Workplace Management System (IWMS) used by growing companies all over the world. It is a complete Real Estate Lifecycle Management solution that helps our customers: - Maximize their revenue and employee satisfaction - Control their real estate costs - Deliver a consistent customer experience - Ensure compliance with today’s ever more complex regulatory requirements Lucernex Enterprise was built for the cloud so it has broken the chains that made legacy on-premise software solutions so expensive to upgrade, maintain and support. - All of our customers use the same version of the software so we are laser focused on improving and supporting a single product which makes us efficient and customer focused. - All of our modules are part of a fully integrated solution built on the Lucernex Cloud Platform so there are no complex integrations for your IT team to maintain and fix every time a change is made. - Lucernex Enterprise is fully configurable to adapt to our customer’s unique business requirements. Our cloud based solution means you never customize the software. - Product updates are delivered to all of our customers at the same time so everyone benefits from product enhancements at the same time. - Product updates are instantaneous and free. No frustrating, expensive and time consuming IT project. Really. Gain visibility into your entire portfolio and stop the time-consuming back and forth between property managers, spreadsheets, and market-data providers. Trimble's Atrium Enterprise Asset Management suite addresses strategic asset investment planning and day-to-day operation property, asset, and facilities management. Backshop is a cash flow projection and deal modeling software for loan originators, commercial real estate investors, and insurance companies. BuildingOS is a software centralizes building data and improves energy efficiency for reduced energy costs. It allows to leverage data across customer's portfolio, historical, utility, real-time, and field data to find unnecessary resource costs, identify performance issues, and prioritize projects. Dealpath offers acquisition and development investment teams the ability to collaborate on deal execution. With integrated workflows, instant reporting, map visualizations, and file & task management, Dealpath is the better way to get deals done. DisplaySoft provides Real Estate Closing & Title Software with CFPB and RESPA compliant HUD forms (Closing Disclosure, HUD-1, GFE and our very own HUD Look for quick cash deals), ALTA Statements, Seller Documents, Title Commitments/Policies, 1099 filing, Data Call, Amortization Schedules & Escrow for Title Companies & Real Estate Attorneys. GroundBreaker is an all-in-one suite of tools for small to medium sized commercial real estate investment firms that raise outside capital. Our tools help teams increase productivity and investor satisfaction by automating fundraising, reporting and investor relations workflows. The application covers six primary functions in streamlining back-office operations of real estate investment firms. These six functions are fundamentally integrated, lending to an all-in-one investment platform that provides value across much of an investment organization. Here are some of the functionality and impacts of each. 1- Investor Reporting Gives your accounting team a system of record of commitments and distributions that is helpful when creating K-1s and answering one-off investor requests immediately. Provides your investors with periodic or ad-hoc reports. Gives back-office team tools to distribute K-1s privately, securely, and in bulk. Our automation of these time-intensive, non-revenue producing tasks, and aggregation of investor data will save many hours of manual work and allow your team to focus on high impact activities and manage more investors. 2- Fundraising Automation Our fundraising tools accelerate the subscription process by automating publishing and marketing of offerings, electronic signing and even receiving funding from your investors via an integrated ACH transfer tool. Gain a better understanding of prospect intent and progress, allowing you or your investor relations team to focus on the investors, rather than the busy-work, to close deals faster. 3- Investor Portal Give your firm the investment experience your stakeholders are coming to expect and reflect the level of professionalism you bring to the table. Outdo the internally built portals offered by the biggest firms and elevate your firm's brand in the short amount of time it takes to deploy a Groundbreaker powered solution. Investors bank and manage their stock market holdings online and are coming to expect more transparency and accessibility via their devices. CRE sponsors need to keep up with the times to effectively recruit and retain investors and earn more of their allocations to real estate. Firms that delight their investors will have a competitive advantage over firms that do not upgrade their systems. Our investor portal lets you recruit and retain investors, and earn more of their real estate allocations in a manner that is scalable to your internal budget and operations. 4- Investment Management Give your team an investment management funnel built specifically for real estate investment firms that raise outside capital. From inviting investors into a deal room, to receiving or adjusting offers, to receiving funds and every step in between. Expedite the processes of supporting an investor through the investment onboarding process while boosting internal transparency by keeping all activity and data in one system of record that syncs everyone from the investor relations to investment accounting teams. 5- CRM A CRM developed specifically for real estate investment firms. Help accounting, investor relations, and third parties like fund administrators and legal by bringing all of the firm's investments, activity and files under one roof, therefore eliminating the need to sync up manually or switch between software applications and file folders of excel and other files. Disconnected data silos and fragmented teams take longer to respond to investor requests and lose an edge to firms with the bandwidth to fulfill investors expectations. 6- Security Stop sending tax documents to notoriously unsecure email inboxes. With GroundBreaker, documents are stored on your investor portal and you maintain control over removing or adding these documents as needed. You can find more details on our data security process on our website’s security page. In summary, we deploy a layered “Defense in Depth” approach. Data is hosted in SOC I, II, III compliant data centers and encrypted at rest and in transit. These are the same standards used by the world’s largest banks. Real Estate patented software provides clients with civil court records, MLS data, land records, and county appraisal records. RealINSIGHT Marketplace is a nationwide online commercial real estate sales platform powered by Real INSIGHT. Siterra offers a site and asset management for the real estate industry. Hi there! Can I help you find the best Real Estate Asset Management solutions?